Larger sizes have additional charge. 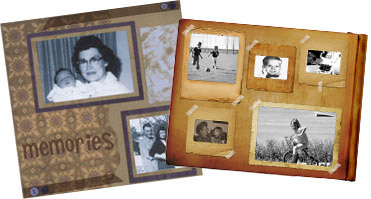 We offer the digital conversion for scrapbook pages up to 12x12, large photos (larger than 8x10) or photo album scanning. 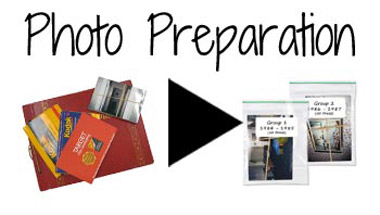 Prices are for scrapbook pages or albums sized up to 12"x12" or photos larger than 8x10, but up to 12x12. Inquire for pricing for pages larger than 12x12. Double sided scrapbook pages will be billed for each SIDE that is scanned. Scrapbook pages containing embellishments that protrude from the page scratch the glass on our scanners, and therefore, cannot be scanned. We will not scan anything that has any sort of metal embellishment, or anything that may cause damage to our professional scanners. Please remove your scrapbook pages from the plastic sheet protectors.